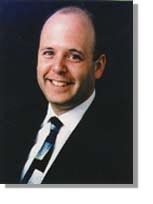 Shep Hyken, CSP(Certified Speaking Professional) is a speaker and author who has been entertaining audiences with his unique presentation style for 24 years. He has been hailed as one of the top entertainer/magicians working the corporate field. In 1983 he made the transition from entertainer to speaker. Hyken mixes information with entertainment (humor and magic) to create exciting programs for his audiences. Shep Hyken's most requested programs focus on customer service, internal service, customer relations, and a motivational program titled "You Are The Magic!" . Focus On The Customer - LIVE!